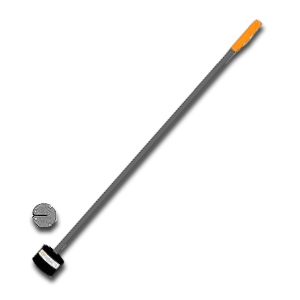 DESCRIPTION: Magnetic Holder Drive Tool for Twin Loc Fasteners. Use with Twin Loc style base ply fasteners attaching to lightweight insulating concrete / gypsum / wood fiber decks. Heavy Duty Canvas Fastener Pouch, High Capacity. Ideal for Basesheet Fasteners, Locking Nail Fasteners and others. Price/Each.